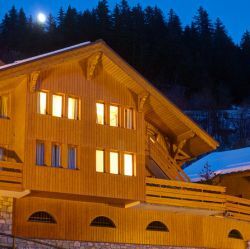 The stylish and contemporary design of the Chalet Pasarale provides the best in comfort and relaxation. 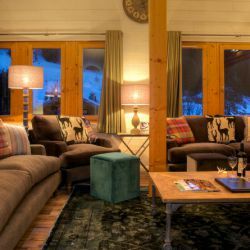 There is a spacious living room that has plenty of comfortable sofas and a large fire place with is the heart of the chalet. 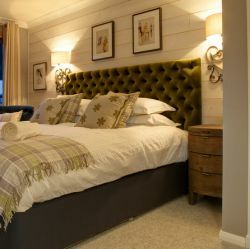 Sit back and enjoy pre dinner drinks and canapés in front of the roaring log fire. 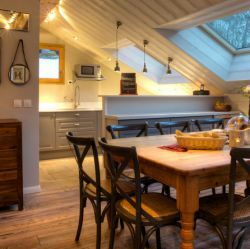 The open plan kitchen and dining room lead off the living room. 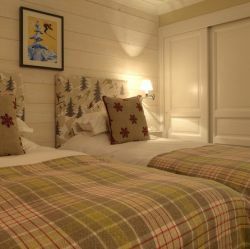 As the chalet has 5 comfortable ensute bedrooms it is a perfect choice for a ski holiday in Meribel with friends or families. 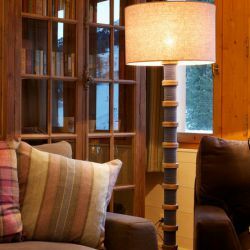 During the summer of 2013 Chalet Pasarale has under gone a full interior renovation, ensuring that this delightful chalet has been further enhanced with bespoke soft furnishings, new bedroom furniture and new bathrooms. 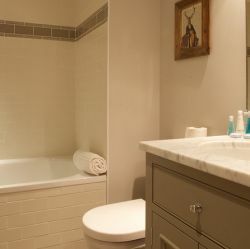 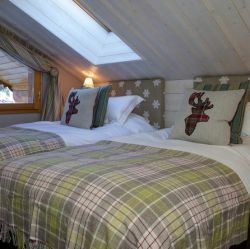 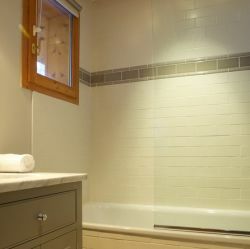 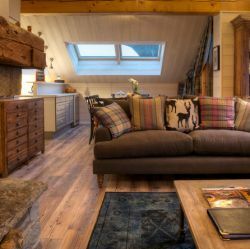 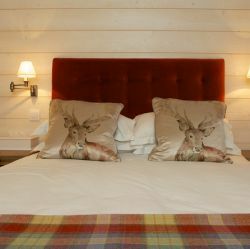 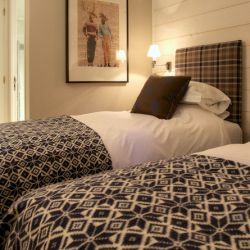 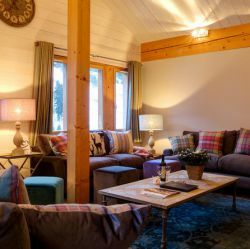 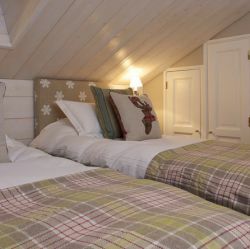 Guests will be extremely comfortable and enjoy the beautiful interior that this chalet has to offer. 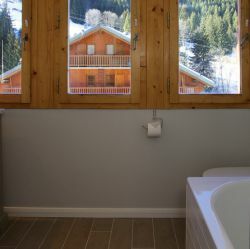 Chalet Pasarale is an easy walk to the piste, ski school meeting points and main lifts at La Chaudanne.